This complete coaster set contains four coasters with two different frog images as well as a storage box. Like one image better than the other? 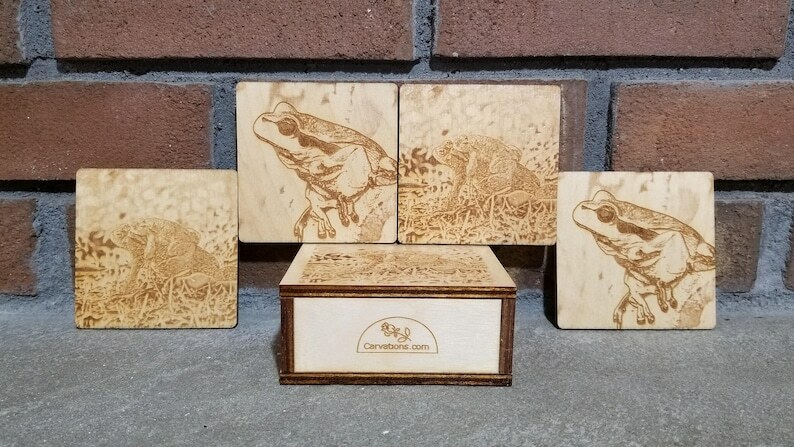 This set can be customized to contain four coasters of a single image. Just select the image you would prefer in the drop down. 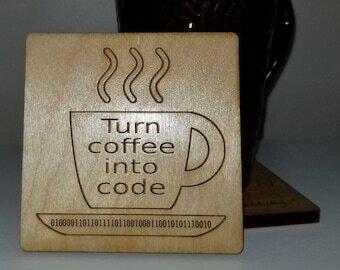 Coasters are laser cut and engraved out of Baltic Birch with natural cork feet to protect your furniture. 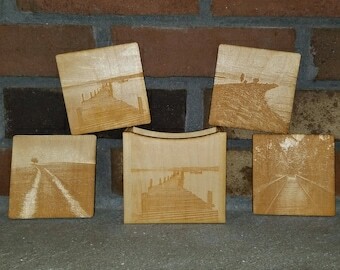 Each coaster is approximately 3-1/2" x 3-1/2" x 5/16" in size with rounded corners. Coasters and storage box are hand wash only. The coasters are safe for use within normal drinking range temperatures. The coasters should never be used as trivets as wood is flammable! For customers in the United States, standard shipping is USPS First Class. 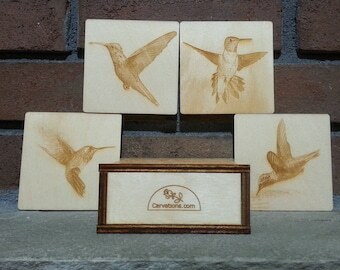 Wood is a natural product and some variation in color and grain pattern is expected between coasters and coaster sets. 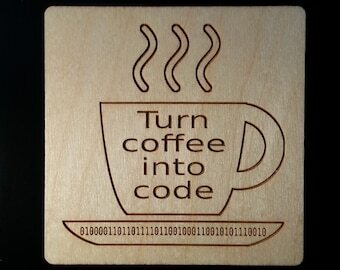 Note : The artwork on the front of these coasters is CC0 licensed and is not original but has been altered to fit the medium.